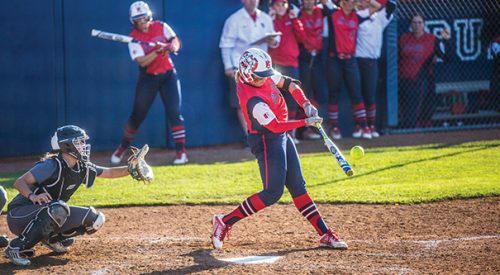 Head coach Mike Batesole and the Fresno State baseball team opened the 2016 season with a 3-0 weekend sweep over the Creighton Bluejays of the Big East Conference. The Bulldogs (3-0) completed the sweep Sunday afternoon with a 7-3 win, led by sophomore starting pitcher Anthony Arias who threw a shutout in his six innings on the mound. 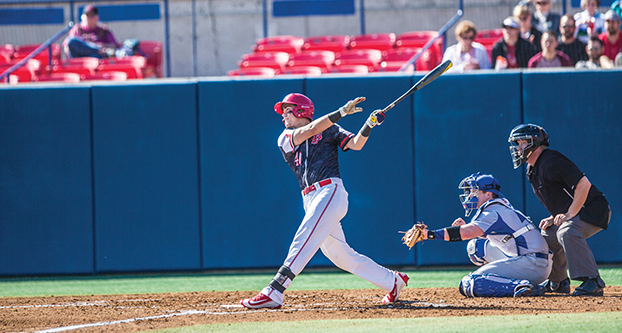 Fresno State got off to a 6-0 start with junior leadoff hitter Austin Guibor scoring the ‘Dogs first run. The Bluejays answered with a pair of runs in the top of the seventh inning off of reliever Mark Reece, cutting the Bulldog lead to four. But that was as deep as Creighton was able to cut into the lead as the Bulldogs added another run in the bottom of the seventh with a sacrifice bunt from Brody Russell that brought Joe Prior home. The Bluejays added their third run in the final two innings off senior relief pitcher Brennon Williams. Starting pitcher Jimmy Lambert set the tone on the mound Saturday, allowing just one run in the 2-1 win. The Bulldogs’ two runs, by Aaron Arruda and Kevin Viers, both came as a result of a pair of RBIs from sophomore third baseman McCarthy Tatum. With Saturday’s win over the Bluejays, Batesole became the 38th active NCAA head coach to reach 700 wins. 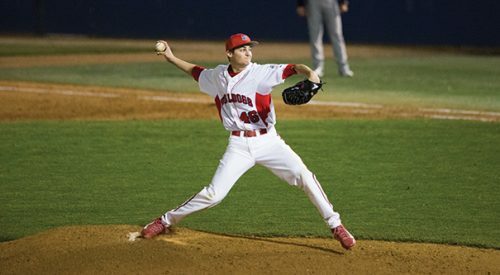 Fresno State’s pitching also delivered on opening night with sophomore left-hander Ricky Thomas earning the start. The Bulldogs received a pair of runs in the bottom of the fourth from Tatum and left fielder Zach Ashford while Creighton scored its lone run off a solo home run from Brett Murray in the top of the fifth. Despite allowing just one run in six innings of action, Batesole thought his starter didn’t have his best outing.